This Harvest Mouse Embroidery Kit contains the materials you need to make the embroidery picture of ‘Harvest Mouse’, with easy to follow guidelines, thread colour guide, photographs and ‘top tips’ from Bridget, the designer. 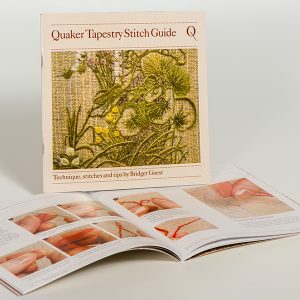 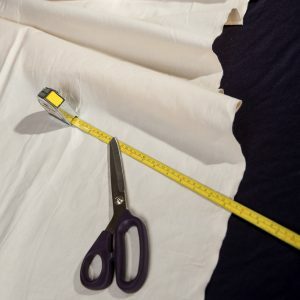 You will also need to purchase the Quaker Tapestry Stitch Guide Book which will explain the process of pattern transfer and give you step-by-step instructions of each stitch. 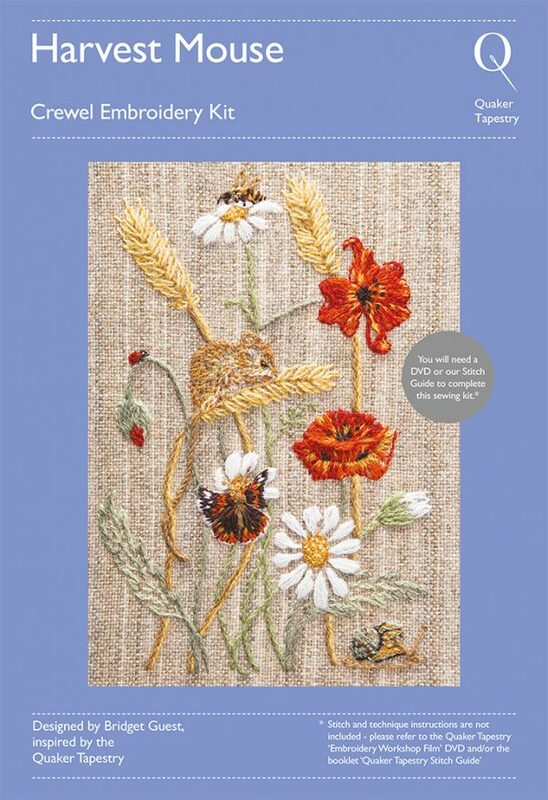 12 coloured skeins British made Appleton’s crewel embroidery wool thread. 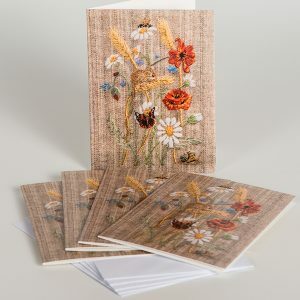 I was inspired to create this design after teaching myself some of the cotton embroidery known as white-on-white ‘Mountmellick’ work. 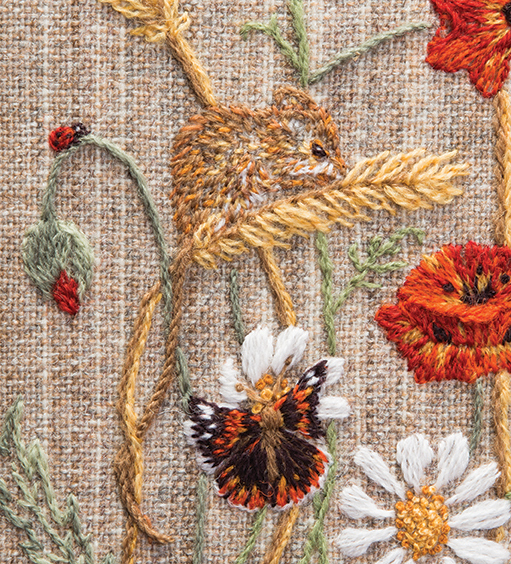 The design was based around the traditional hedgerow flowers and grasses and I added a little harvest mouse with a Quaker Stitch tail for interest. 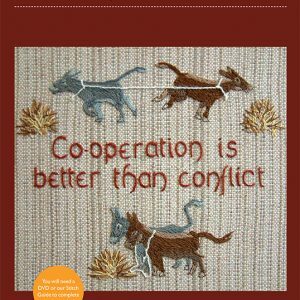 I wondered what the white work would look like in colour using the Quaker Tapestry techniques… so here it is! 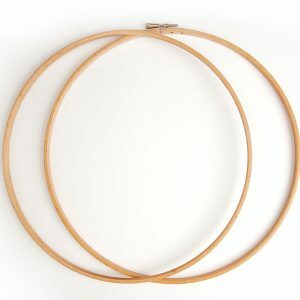 Have fun and experiment with your use of stitches and colours – I did! 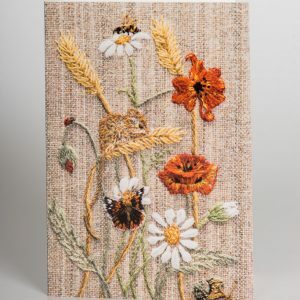 Your completed design doesn’t need to look like mine, if you decide you want to use a different stitch for any of the kit then do… you can choose to leave out the butterfly, ladybird or snail if you wish – it’s a creative process so you will learn from copying and from experimenting. 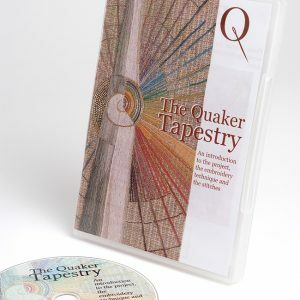 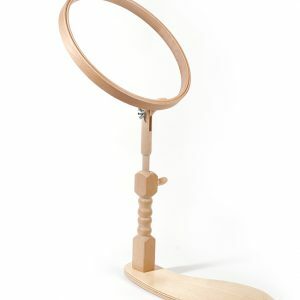 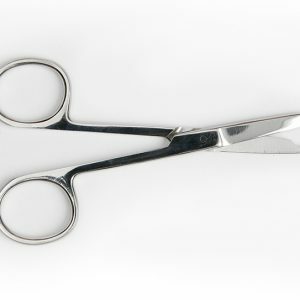 This is not a beginner’s kit, but would be suitable for those who have completed one of our Quaker Tapestry kits.